With not much going right at the Eels last year, Daniel Alvaro was one of the few shining lights. So we thought it would be only fair to return the favour and shine a light on him as our next Player of Interest. Alvaro has been a consistent PPM machine for the past four years and saw a fairly big increase in minutes last year. 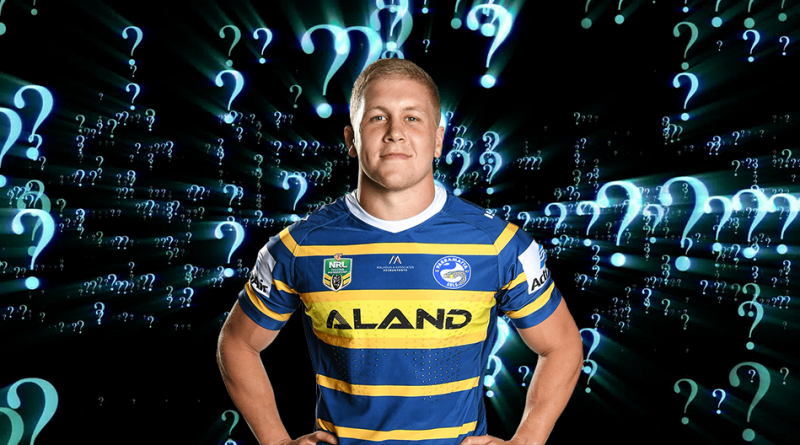 Based on the projected round 1 team, the Eels pack lacks some real depth. The starting front-row will include the likes of Alvaro and new recruit, Joseph Paulo, whilst in the back-row should see Manu Ma’u and Shaun Lane be joined by Nathan Brown at lock. With the bench to include Will Smith, Marata Niukore, Tepai Moeroa and and on his last legs, Tim Mannah. For mine, Ma’u will continue to play the full 80 minutes, with Niukore likely to spell Lane and Moeroa will to come on for Brown (10 minutes) and Alvaro (30 minutes) and cover the middle. Mannah should come on for Paulo and play 35-40 MPG. All this could point to Alvaro playing a consistent 50 MPG at a minimum this year as the forward leader along with Brown. If he can have that as a baseline for his minutes and keep his PPM at the same rate that he’s produced over the past two years then has the potential to be a definite 60 PPG player and keeper. At worse, he could produce solid enough scores to start the season through until at least the first bye round where he will provide cover and you can bank the cash from here on. I’m more than keen……what’s everyone else thinking? Depends how they use lane , an 80 min lane would mean Alvaro and brown RIP to there mins . Seems like prop and lock will AVG same mins and likely preparing for the new interchange rule which could come in next year . Is it the end of 80 min locks ? Jurbo the only exception …. could mean also that if Mahoney is the main hok and no utilty that Brown goes into hok again like before 2017 I think for a while. Could kill his output as well, just passing the ball. Thanks for the writeup mate. He’s been in and out of my team for a bit now – currently in. He’s at a good age of 25 and should be ready to hit his peak based on the gradual increase in minutes over the last few years. I like that he plays the R12 bye round and he’s a huge POD. But as per other’s comments he’s at a tricky price and I am worried that he is coming back from injury. Has he been training well do you know? Also this guy is super consistent. He only had 2 games below 40 last season. That’s the sort of consistency you want at the start of the season – but you have to pay for it! I like Lane more as an option around the same price if he gets 80 minutes or close to. He has a higher ceiling and is already a pod. Both have their minutes in the air, lane can cover the centre of the park as well, he is so much more versatile and could get more minutes through covering the middle as well. yeah big difference between Lane and Alvaro is that Lane can score tries, Alvaro scores zilch. Plus Lane also is that taller body that has a great offload, can score and also create tries. I feel he gets 60min minimum on an edge. But like you said Mannah or someone goes down in the middle he can play big min and can play in the middle if need be. He scored a few tries in the middle last year as well I remember. Hopefully, Moses pulls his finger out now that he is the main man. Surely the eels are a better team this season, I think Fergo’s runs out from the back early in the set will give them momentum for some more tries. Fergo should also be on the right edge as well so the ball should come to the right more than not, meaning more opportunity for lane to get attacking stats and runs. I feel Brown when fit may still play big min but spell Mahoney if no Utility on bench. Agree Lane getting 60min on an edge can still score a 60-65 pt av with the added up side, In frf lock that in, If he stays fit can hold up to rd12 and decide what to do then.